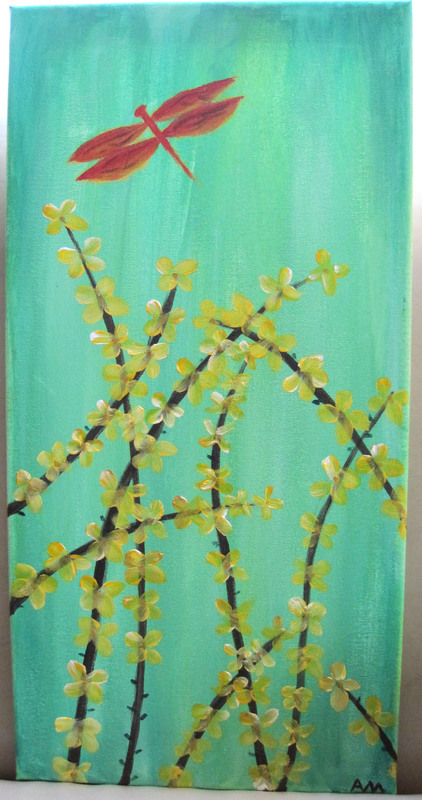 My mother and I went to another local paint & sip event this past Saturday & above is the painting that I did (a forsythia & dragonfly). Comparing it with the previous one I did in November 2014, I do see some improvement. 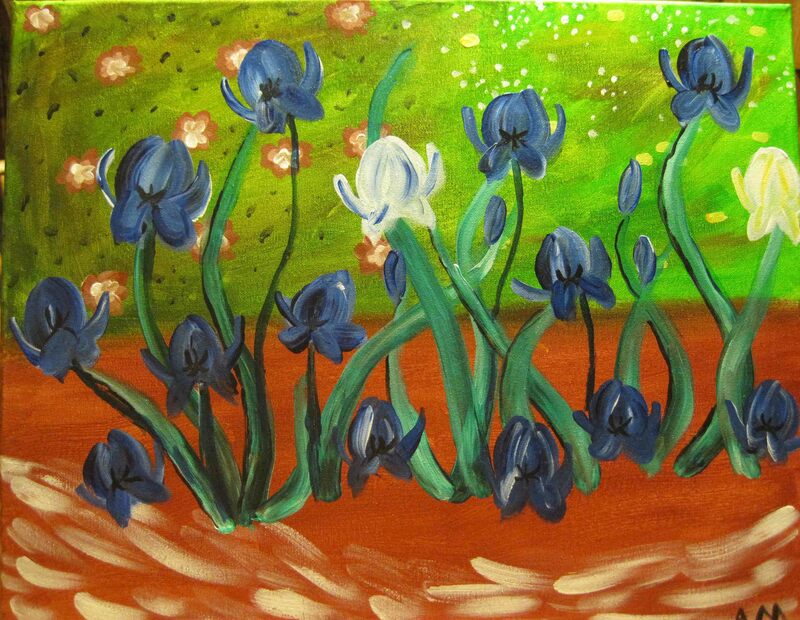 I like the dragonfly a bit more than the butterflies, & I kind of like how my flower pedals came out. 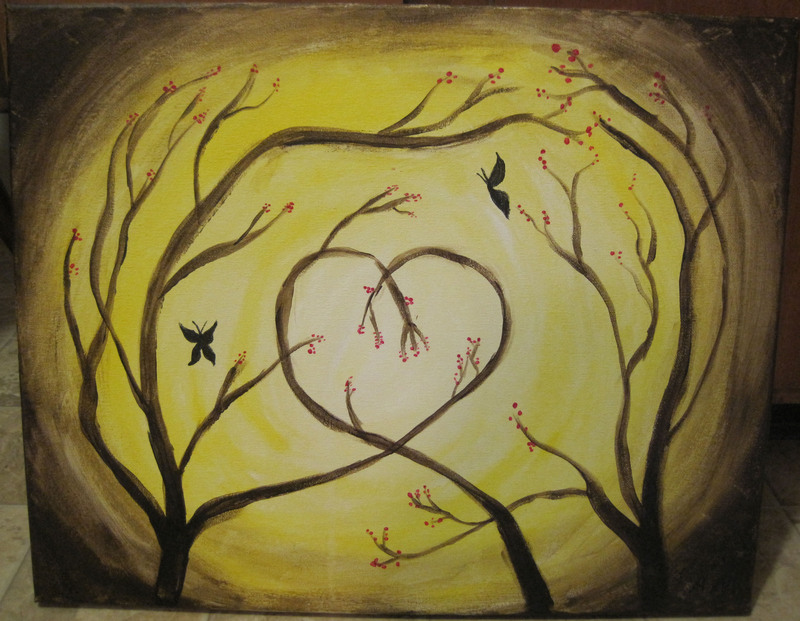 This was done in acrylic paints & was done in about 2 – 2.5 hours. I decided to do try my hand at some watercolor painting yesterday, so I’ll do another post on that either later today or tomorrow.